With Emperor you are generating a complete C/C++-sourcecode, which only must be compiled by an external compiler. Aim of this program is to assure software developer to create their programs (its sourcecode) by Emperor, because the making of software (opening of windows, file- and fontrequests, menus etc.) is often equal and must not longer copied by programmers from other sourcecodes. 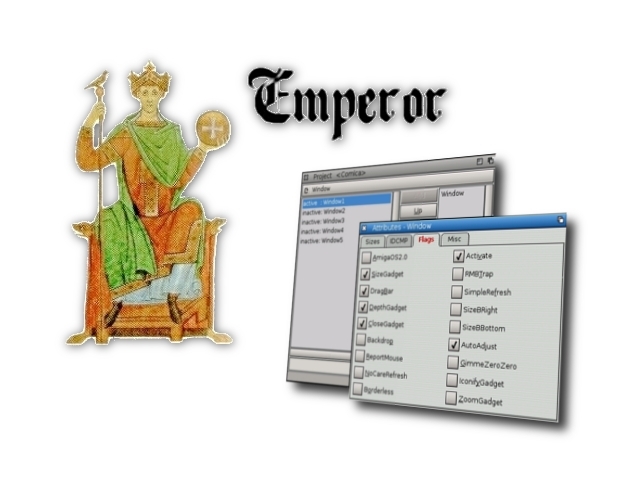 Emperor decrees about one or more macros for every GUI-element. Like the menus: here you must, for creating the complete Project-menu (open, close, save, print etc.) and its translation, (in Locale-".catalog"-file) only select the corresponding entry in the list. This is also possible with requests e.g. by making a QuitRequest. These are called in the own sourcecode as function "REQUESTNAME();". 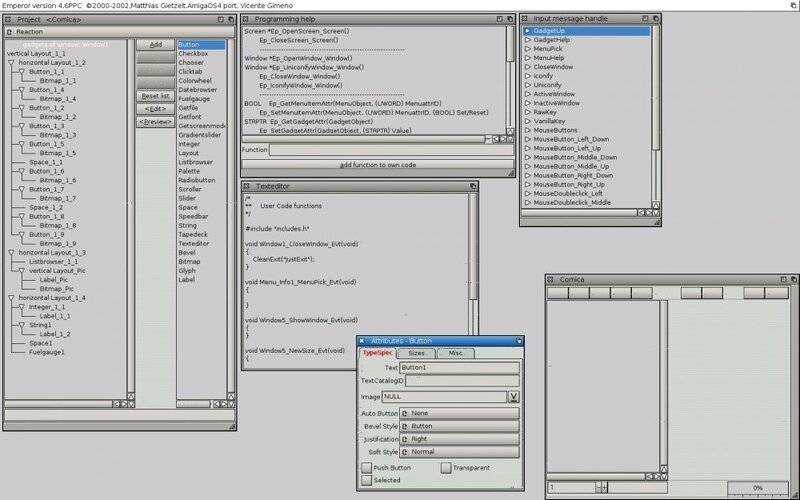 But the program should also be for amigans, who never programmed before, and want an easy way in the programming of AmigaOS-GUIs.